The owners of the website is PiperLab S.L. Entered in the Registry of Companies in Madrid at Volume 33099, Section 8, Book of Companies, Sheet 161, Page M-595709. Accessing and/or using www.piperlab.es portal gives visitors and viewers the status of USERS, who accept, by means of such access and/or use, the General Terms and Conditions for Use reflected herein. The said Terms and Conditions shall be applicable regardless of any General Terms and Conditions for Contracting that it may in each case be compulsory to comply with. www.piperlab.es provides access to a multitude of information, services, programs or data (hereinafter “content”) on the Internet belonging to PiperLab S.L or its licensors for USER the user can access. The USER assumes responsibility for the use of the portal. This responsibility extends to the necessary registration to access certain services or contents. In this registration the USER will be responsible of providing true and lawful information. As result of this registration, the USER can be provided with a password that will be responsible of, pledging to make diligent and confidential use of it. The user undertakes to make appropriate use of the contents and services that PiperLab S.L offers. PiperLab S.L reserves the right to remove any comments and contributions that violate the respect for human dignity, which are discriminatory, xenophobic, racist, pornographic, that threaten youth or childhood, the order or public safety or that, in it´s opinion, are not suitable for publication. In any case, PiperLab S.L will not be responsible for the opinions expressed by users through forums, chats or other participation tools. PiperLab S.L meets the guidelines of Organic Law 15/1999 of December 13 of Protection of Personal Data, from Royal Decree 1720/2007 of 21st of December, that approves the Regulation of the development of the Organic Law and the other regulations in force at all times, and seeks to ensure proper use and handling personal user data. To do this, along with every form of gathering personal data, in the services that the user can request to PiperLab S.L, he will inform the user of the existence and acceptance of the particular conditions of the processing of data for each case, informing of the responsibility of the created file, the address of the responsible, the possibility to exercise their rights of access, rectification, cancellation or opposition, the purpose of processing and the communications of data to third parties where appropriate. In addition, PiperLab S.L informs that it complies with the Law 34/2002 of July 11, of Services of Society Information and Electronic Commerce and will ask to consent to the processing of the e-mail for commercial purposes at all times. PiperLab S.L owns all rights to intellectual and industrial property of its website as well as of the elements contained therein (by way of example, pictures, brands, trademarks, brands, services, contents or informations…). Under the provisions of Articles 8 and 32.1, second paragraph, of the Copyright Law are expressly prohibited the reproduction, distribution and public communication, including any means of making available all or part of the contents of this website for commercial purposes, in any form or by any technical means, without the authorization of PiperLab S.L. PiperLab S.L is not responsible, in any case, of the damages and harms of any kind which may cause, by way of example: errors or omissions in the content, lack of availability of the website or transmission of viruses or malicious or harmful programs in the content, despite having taken all the necessary technological measures to prevent it. PiperLab S.L reserves the right to make unannounced changes that considers appropriate in its website, being able to change, delete or add content and also services provided through it as the way in which they are presented or located on its website. In the event that the domain name links or hyperlinks to other Internet sites, PiperLab S.L will not exercise any control over such sites and content. In any case PiperLab S.L will assume any responsibility for the contents of any link belonging to another website, nor guarantee the technical availability, quality, reliability, accuracy, comprehensiveness, validity and constitutionality of any material or information contained in any such hyperlinks or other Internet sites. Also the inclusion of these external connections will not imply any type of association, merger or partnership with the connected entities. PiperLab S.L reserves the right to decline or withdraw access to the web and / or services offered without previous notice, on its own or a third party, to those users who violate these General Conditions of Use. PiperLab S.L will pursue the breach of these conditions and any misuse of its portal, exercising all civil and penalty actions that can be corresponded by law. PiperLab S.L may change at any time the conditions specified here, being duly published herein, therefore the USER is responsible of reading carefully these Legal Notice each time the website is accessed. The validity of these conditions will be according to their exposure and will be valid until they are modified by others duly published. 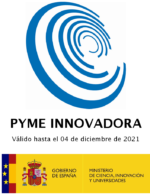 The relationship between PiperLab S.L and the USER shall be governed by Spanish legislation and any dispute shall be submitted to the Courts and Tribunals of the city of Madrid, renouncing to any other Court that they could belong to. Cookies are small text files that may be stored on your computer, smartphone or tablet and contain information about what you have done in that website. This information is used for useful things such as remembering your username and password each time you access some websites, or to show advertisements of products you were interested in before. Cookies help us improve your netsurfing experience and determine how to improve our website. Which cookies are we using and what are they for? Own cookies: They save your data only if you comment on a post, just so you don’t have to enter them again for the next comment. Third party cookies: Connect with Google Analytics and save anonymous information about how you used this website. What happens when you turn off cookies? If you turn off cookies, some of our services might not work properly. To continue netsurfing this website implies consent and acceptance of our cookies. To rectify this consent, follow the instructions on the next section. How to change the settings or deactivate cookies? Internet Explorer: Tools > Internet Options > Privacy > Settings For more information, visit Microsoft Support or the Help on your browser. Firefox: Tools > Options > Privacy > History > Custom Settings For more information, visit Mozilla Support or the Help on your browser. Chrome: Settings > Show Advanced Settings > Privacy > Content Settings For more information, visit Google Support or the Help on your browser. Safari: Preferences > Security For more information, visit Apple Support or the Help on your browser. If you are not using any of these browsers, go to the “Help” tab on your browser and the “Cookies” section to get more information about where are cookies located.